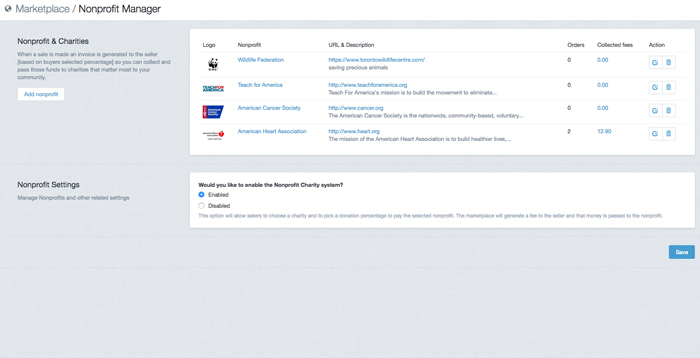 Manage Nonprofits and other related settings. When a sale is made an invoice is generated to the seller [based on buyers selected percentage] so you can collect and pass those funds to charities that matter most to your community. Charitable giving section allows sellers to choose a % based on what was set up in the non profit manager.